A former fraternity member is expected to plead guilty in connection to the death of Penn State student Timothy Piazza. Ryan Burke will be the first person to accept guilt in this case. 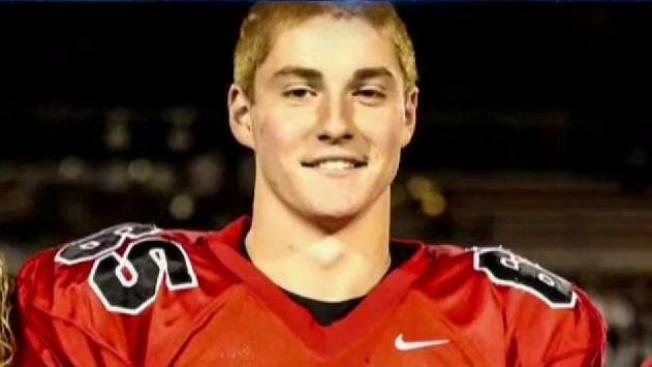 A former Penn State University fraternity brother on Wednesday entered the first guilty plea in the death of a pledge who was fatally injured after a night of heavy drinking and hazing. "There are too few words to describe a loss so great. This young man understands that," Burke's attorney, Philip Masorti, said outside the courthouse, putting his hand on Burke's shoulder. "This is a tragedy, and he is anxious to make amends." Burke was accused of giving Piazza a bottle of vodka at the party. He'll be sentenced July 31. "We are pleased to see one individual accept responsibility and encourage others to follow in his steps," said Tom Kline, attorney for Piazza's parents. Twenty-five other defendants still face charges. A magistrate has previously thrown out the most serious charges — involuntary manslaughter — against five defendants.